We're powering through the #101drams list at the moment. 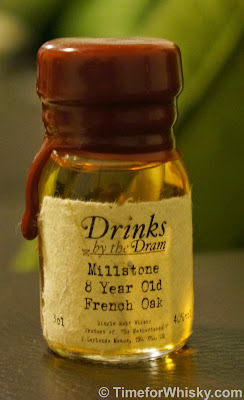 Next up, a whisky from a country we haven't yet featured in this blog - the Netherlands! Nose: Oranges, lime and lemon zest. Some grains, and freshly-cut grass. Palate: Young, but not "hot". Loads of citrus. Light but flavoursome. Oat cakes, short bread, tangy but not overly sweet. Finish: Medium length, with oats and a hint of salt. Rating (on my very non-scientific scale): 91/100. Not bad.